The cycling route number 9 is a 497 km long route between Montreux and Rorschah. 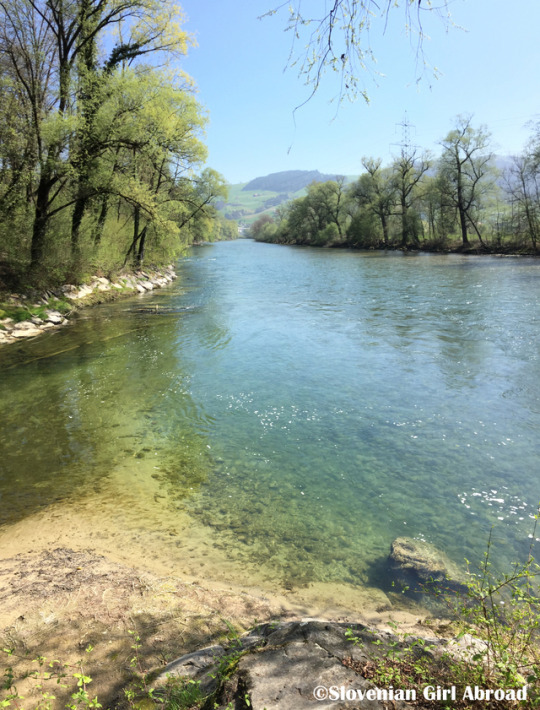 Because it passes many beautiful Swiss lakes, including Lac Léman (Lake Geneva), Bodensee, and Lake Lucerne (Vierwalstättersee), it is also known as “the Lakes route”. I really liked this cycling route. 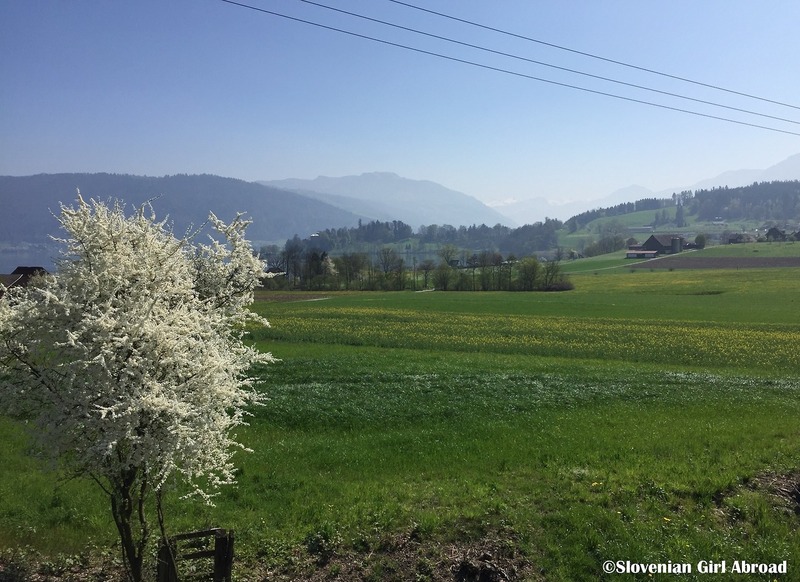 It took us through lovely Swiss countryside, through the forrest, meadows, blooming cherry orchards and calm and peaceful residential areas. After our arrival to Zug, we went for a lunch in one of the restaurants in the city centre. 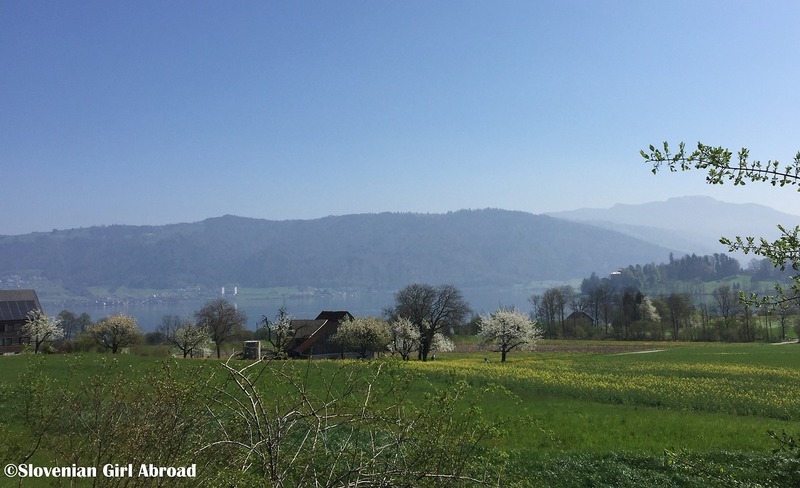 Filled with delicious food, we cycled to park by the Lake Zug (Zugersee) where we’ve chilled until we cycled back in direction of Luzern. Because it was already getting dark, we stopped at Rotkreuz where we caught a train back home to Luzern. Wow – such beautiful scenery! A great way to enjoy the beauty of the lakes! Oh nice! 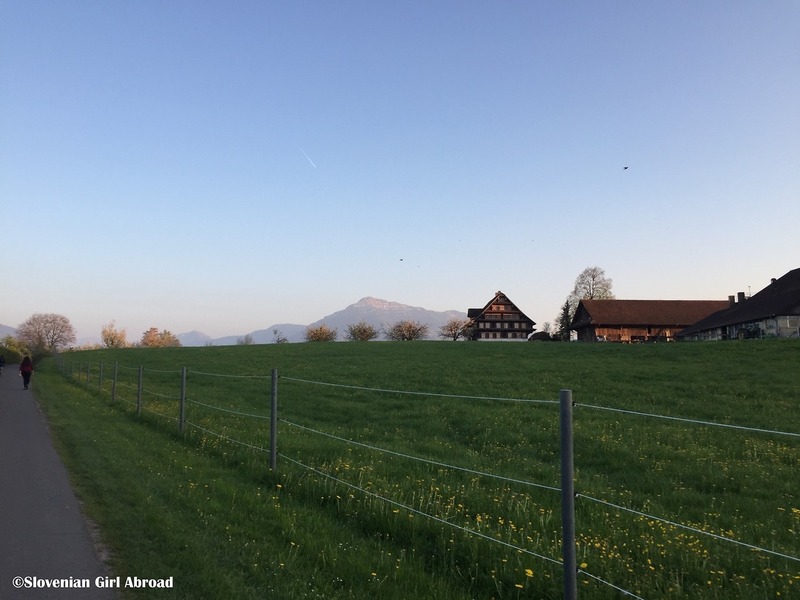 I didn’t know there is a cycling route from Zug to Lucern. I used to stay in Zug when I worked for Swiss company and had to fly there for technical training or meetings. And I took the train to Lucern. 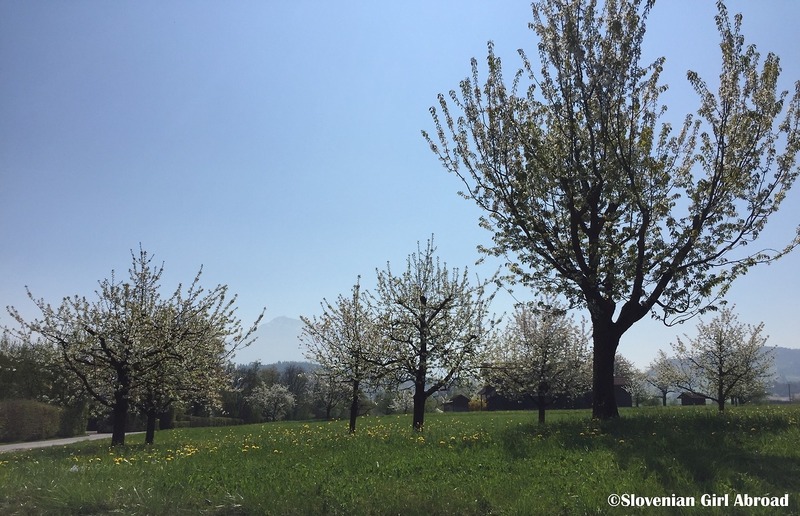 From Luzern to Zug is quite a trip – and there are some … hills! Very sporty, Urska! 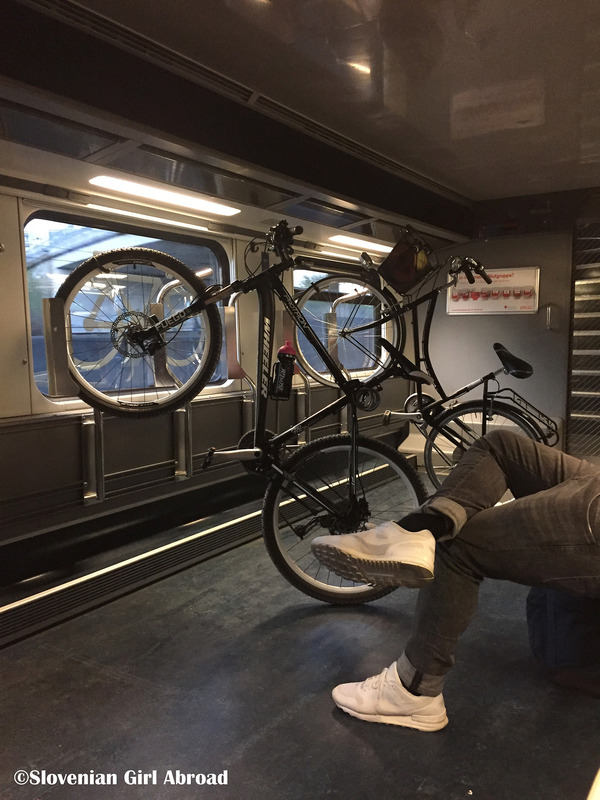 great to have the facility on the train for bikes! 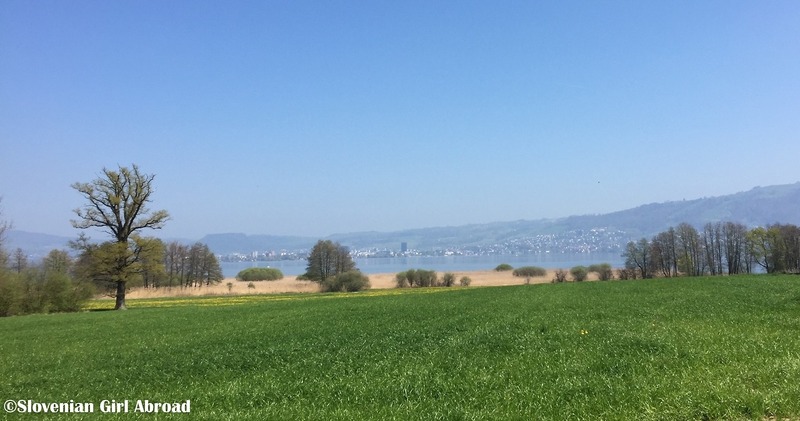 Also – Lake ZUG? Awesome name. Seems like a besutiful place to visit. Great pics!